In the latest in a series of such cases in Kentucky, an eminent cardiologist in Ashland, for whom his hospital's vascular center is named, has been convicted of health care fraud for performing invasive heart procedures on patients who did not need them. From 2006 to 2012, Dr. Richard E. Paulus at King's Daughters Medical Center billed Medicare for more heart procedures than any other cardiologist in Kentucky and was fifth in the nation in the amount paid by Medicare for stent procedures. Paulus, the third cardiologist in Kentucky to be convicted of health care fraud, earned $2.6 million in 2011 alone, according to published reports. 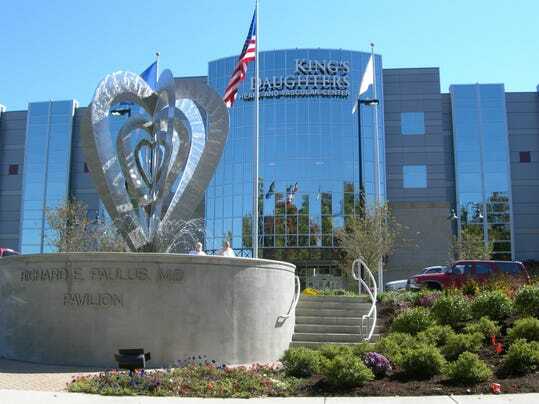 King’s Daughters in 2014 agreed to pay the U.S. government $40.9 million to resolve civil allegations that it made millions of dollars by falsely billing federal health care programs for performing medically unnecessary heart procedures on patients. After a seven-week trial and four days of deliberations, a jury in Covington on Thursday convicted Paulus of performing numerous invasive heart procedures on patients who did not need them from 2008 to 2013, and to justify the procedures, falsifying their medical records to exaggerate their medical condition so he could qualify for government payments. Specifically, he was convicted of placing unnecessary coronary stents and performing unnecessary diagnostic catheterizations in patients. Ten cardiologists testified on behalf of the United States, and Paulus was convicted on 11 counts and acquitted on five counts. Stents are tiny coils inserted into arteries with catheters to prop open coronary blockages. They can save lives of heart-attack victims, but their use in stable patients has been disputed by medical researchers. Paulus’ Washington attorney, Bob Bennett, who is best known for representing President Bill Clinton in the Monica Lewinsky case, said the jury "with all due respect made a bad decision and we will seek relief in this court and higher courts if necessary." Paulus, who is scheduled to be sentenced on April 25, faces a maximum of 20 years for health care fraud and up to five years for making false statements. The namesake of the Richard E. Paulus Pavilion Heart and Vascular, retired last summer after 21 years practicing interventional cardiology in Ashland, where he was widely admired for his work ethic and concern for patients, The Daily Independent has reported. In a statement, U.S. Attorney Kerry B. Harvey said: “All of us rely on our healthcare providers to make treatment decisions based solely on medical considerations, untainted by financial considerations. The jury determined that Dr. Paulus dishonored this fundamental duty to many of his patients in order to defraud federal healthcare programs. This is entirely unacceptable conduct.” Assistant U.S. Attorneys Andrew Sparks and Kate Smith prosecuted the case, which was investigated by the FBI, the U.S. Department of Health and Human Services and the Kentucky attorney’s generals’ Medicaid Fraud and Abuse Control Unit. Harvey called the conviction a milestone in an investigation spanning several years. In January, KentuckyOne Health’s St. Joseph hospital in London agreed to pay $16.5 million to the federal government to resolve civil allegations that it submitted fraudulent claims to Medicare and Kentucky’s Medicaid programs for unnecessary heart procedures. And in August, in one of several hundred civil suits filed against KentuckyOne, a jury returned a $21.2 million verdict against it for conspiring with cardiologists to perform unnecessary heart procedures. The verdict, including $20 million in punitive damages, was awarded to Kevin Wells, a milk truck driver who said one of the doctors unnecessarily implanted a pacemaker in his chest. The jury found that the hospital and its parent company, Denver-based CHI, engaged in a conspiracy to aid and abet the doctors to commit an unlawful act. Poppe said evidence showed the company anticipated making $90 million over three years from heart procedures and that executives were given bonuses based on productivity and revenue. Poppe also has sued King’s Daughter’s on behalf of about 150 patients, and about 80 of the suits name Paulus, Poppe said. The plaintiffs include a patient named Robert Huron, who alleges Paulus gave him multiple unnecessary stents between 2006 and 2010, “dramatically” misrepresenting his heart disease. Huron alleged that he suffers constant allergic reaction to the stents’ polymers that cause hives, joint pain and swelling in his throat, Huron told Bloomberg in a 2013 interview. “I’ve lost seven years of my life, and spent a lot of money I shouldn’t have spent, and now I’m worse off because of the allergy,” Huron said, according to the Bloomberg report.